Following news reports of allegedly excessive formaldehyde levels in some of its flooring products — and subsequent lawsuits and investigations — the CEO of Lumber Liquidators has resigned from the top position at the company. In a move the company describes as “unexpected,” Robert Lynch told the Lumber Liquidators board he’d decided to step down as CEO and President. While the announcement made no mention of the formaldehyde issue, the company’s stock price has plummeted in the months since a 60 Minutes report that claims to have found potentially dangerous levels of formaldehyde in China-made laminate flooring sold by Lumber Liquidators. 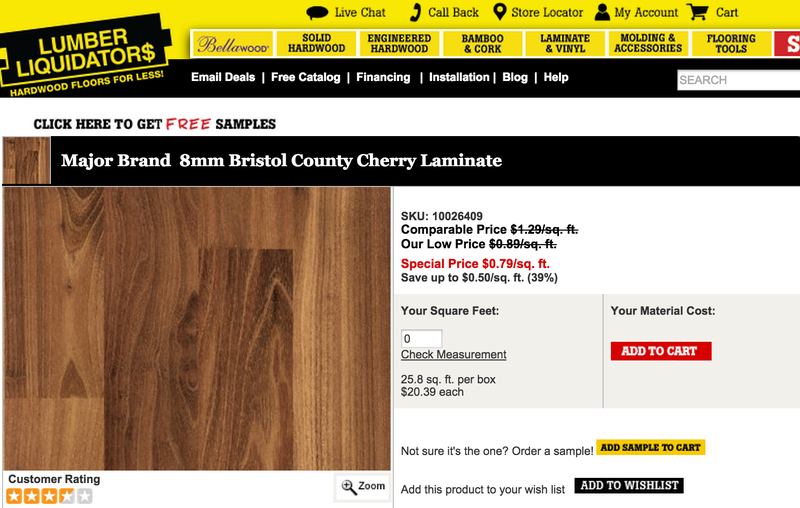 The company has maintained that it did nothing wrong and has questioned the testing methods used in the news report, but decided in early May to halt sales of laminate flooring from Chinese manufacturers. But even that move could not help the company, whose stock price is now less than one-third of what it was in February. Company founder Thomas Sullivan will take over as interim CEO while the company looks for Lynch’s replacement. Formaldehyde is commonly used in the manufacture of laminate flooring, but usually in such small levels that it dissipates quickly. If employed in excess, the chemical can remain in the flooring even after it’s been installed. Prolonged, continued exposure to formaldehyde has been linked to numerous health problems ranging from nausea to increased cancer risk. Children are more susceptible than adults to the toxic effects of formaldehyde.